Favouring reflection and human judgement over conclusions from quantitative models, IAM considers asset management to be an art. 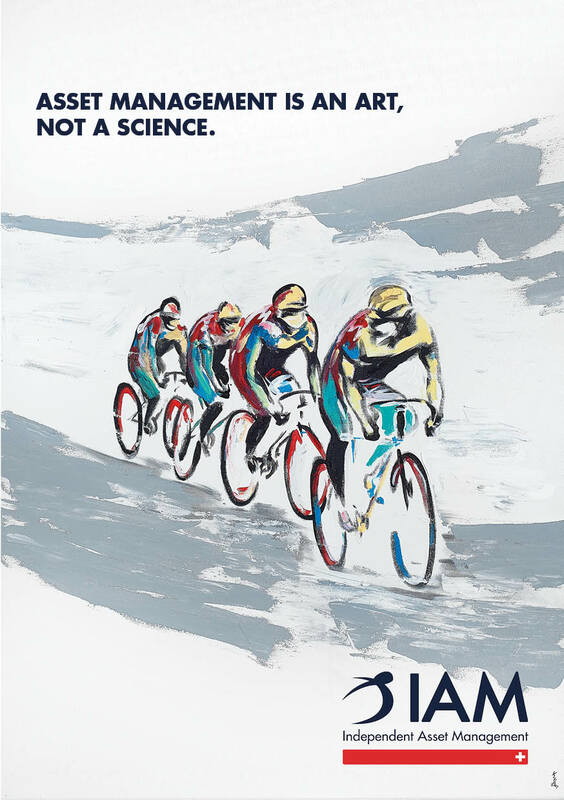 In this view, IAM launches today its new advertisement campaign, which highlights its strong convictions, through three works of art realised by a painter of Geneva (JP Kalonji), especially for IAM. 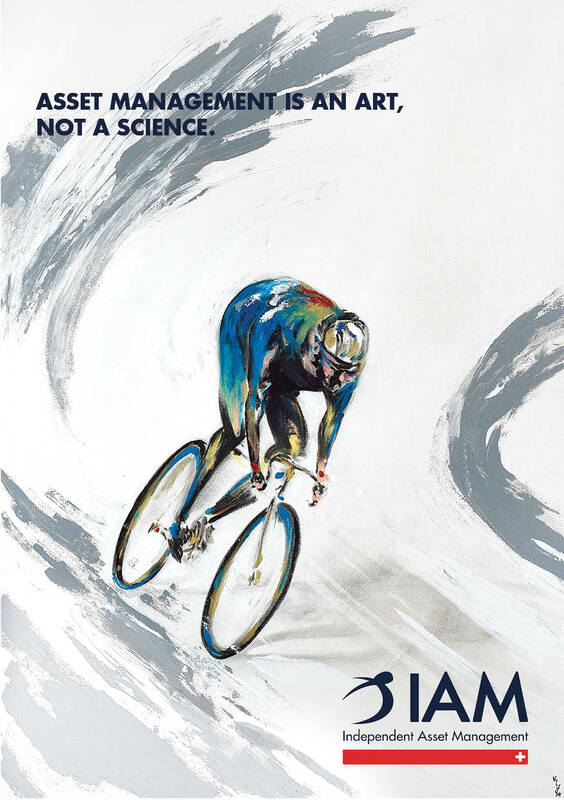 Drawing parallels with the approach characteristic for an artist or a high level sportsperson, IAM highlights through this campaign the importance of an approach resolutely active, traditional, anticyclical and coupled with a concentration at every moment in order to generate outperformance. 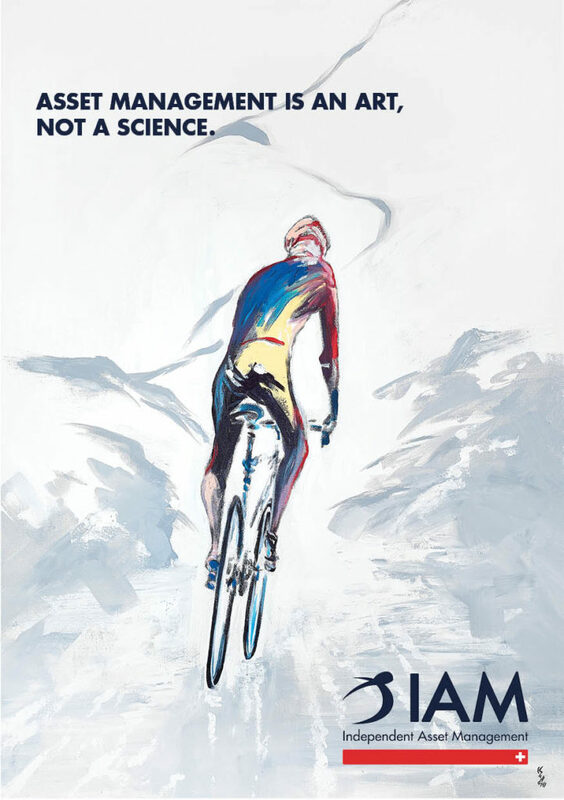 Through the perfect control of a cyclist in every curve of a mountain pass, the pugnacity of a rider in a breakaway in front of the field or the perfect alignment in teamwork, IAM illustrates its fundamental values of over 20 years: independence, vision, judgment, patience and discipline.